Xtrac’s application of its motor racing know-how to the development of hybrid and electric vehicles, and the transfer of its driveline technology to the defence and marine industries, has helped the UK motorsport valley company into second place in its first ever participation in The UK Manufacturer of the Year Awards. The transmission technology specialist took top honours in the Advanced Manufacturing category and, as well as being overall runner-up, was also shortlisted as a finalist for the Innovation and Design, Leadership and Strategy, and Best Small and Medium Enterprise awards. 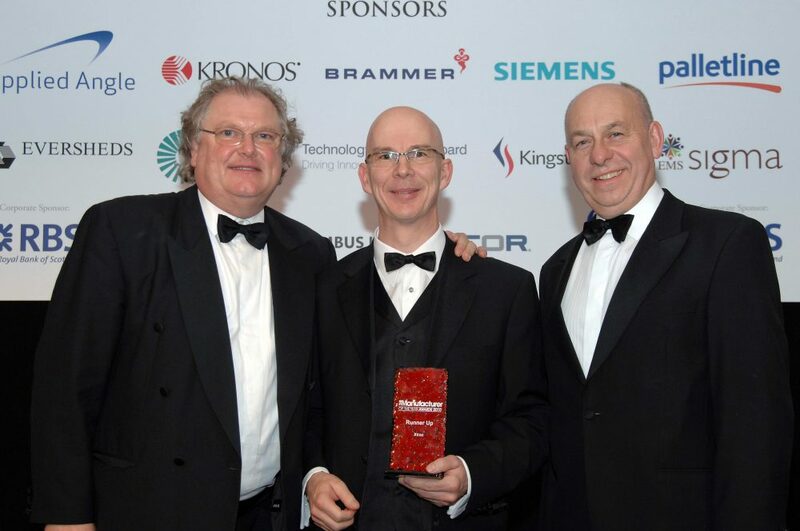 The competition winners were announced at a prestigious black tie event held on 18 November 2010, following the annual Manufacturer Directors Conference. The third senior judge was Allan Cook, chairman of Atkins and a chartered engineer with more than 30 years’ international experience in the automotive, aerospace and defence industries. Atkins is the official engineering design services provider for the London 2012 Olympic and Paralympic Games. The 12 individual award categories were judged by a similar pre-eminent panel of 16 more judges comprising senior company executives and leading academics. The keynote address at the awards ceremony, which received a standing ovation, was delivered by the UK’s ‘voice of business’ Lord Digby Jones, business guru, and former director general of the Confederation of British Industry (CBI), who spoke passionately about the importance of manufacturing to the UK economy, delivering his bold and forthright views in his customary highly engaging manner. Joe Greenwell, who presented the runners-up award to Cliff Hawkins, together with Lord Jones, have been invited to visit Xtrac’s hi-tech factory, which is based at Thatcham in Berkshire, where they will meet with company employees. Invites have been similarly extended to Nick Hussey, Allan Cook, Ed Lambourne, Robin Wilson and other judges and sponsors involved in the awards. The Manufacturer of the Year Awards programme is designed not only to recognise and reward excellence achieved within the industry, but also to highlight the diversity and strength of UK manufacturing. Lord Digby Jones, Cliff Hawkins and Joe Greenwell at Manufacturer of the year award 2010.